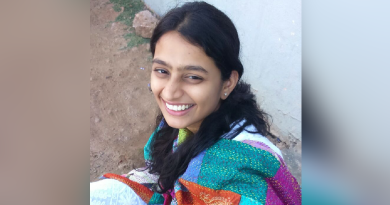 About the Author: Bommireddy Meghana is pursuing Bachelor of Arts from Christ University, Bangalore. She shares how internships helped her realise her passion for social work. I first heard about Internshala through my friends when I was in school. I didn’t use it until after I joined college and started looking for internships. At that time, I had a lot of questions in my head viz. what are the types of internships I could look for, what to expect from an internship, etc., and all my doubts were cleared after I visited Internshala’s website and saw a plethora of internships based on my skill set and preferences. Considering that I aspire to become a civil servant, social work interested me inherently, so I started looking for internships in the same. I came across Evidyaloka, an online teaching platform that provides education to underprivileged kids in rural areas. The selection process involved a Skype interview with Mrs. Anusree Nived, who later became my mentor. She made me extremely comfortable during the interview and asked me why I wanted to join the internship to which I replied that it seemed unfair that so many children did not have access to quality education and I would feel honored if I could help them in any way. Then, she asked me about my academic background along with the subjects of my interest so that she could assign the responsibilities accordingly. As the content developer at Evidyaloka, I was in charge of preparing assessment sheets, question papers, and worksheets to evaluate the knowledge gained by children after their online lessons. I prepared worksheets on Mathematics, English, and Science for students of grades 5th to 10th. Based on the syllabus for a particular assessment, I prepared appropriate questions along with the answer key with the help of a few reference books that were given to me. To make sure there was no language barrier, I also prepared the questions in Telugu as some of the students were comfortable with it. It felt refreshing to use Telugu since even though it was my mother tongue, I hadn’t written in it for long. Furthermore, I learnt quite a few mathematical techniques which would come in handy in my civil services examinations. This internship also gave me an immense sense of satisfaction because I was able to help children build their future. Once this internship was over, I began my search again. Being an environmentalist, I have always been enthusiastic about reviving and nourishing the environment. Internshala presented me with an internship at Teach for Green, an organization that relentlessly works towards making the environment more sustainable by promoting the use of renewable energy, to realize this passion. As a part of the shortlisting process, I was asked to write about an environmental issue that bothered me the most. I composed a write-up about ‘Climate change’, emphasizing how it has become a reality and simple day-to-day activities that we can do in order to create a sustainable environment. At Teach for Green, I was assigned numerous tasks such as writing blogs, preparing the annual reports, and writing newsletters. I was also in charge of editing the already written posts and reports. This stint helped me improve my writing skills given the frequency at which I wrote. Moreover, it was enriching and informative as I gained useful insights into various environmental issues and the pressing need to take preventive measures. I was also keen on doing the groundwork there but I couldn’t since the organization was based out of Delhi and I was studying in Bangalore. I also worked with Internshala itself as an Internshala Student Partner for a few months because I wanted to help students who were looking for exposure and enriching experiences find internships that are best suited for them. I believed I’d be able to provide them with useful insights as I have been through the same process and experience. My journey with Internshala has been filled with cherishable experiences and memories that will be etched in my memory for years to come. Do you also feel strongly about giving back to society? Then, apply to these social work internships and do your bit in creating a better future! I’m afraid we aren’t inviting guest articles as of now. We have an in-house content team to take care of any requirements that we may have. If in case, a requirement arises, we’ll reach out to you. I have b.tech in Electronics and communication in 2016 then i job join in telecom but i want released work for embeded system /linux operating system. I have done my BE Civil engineering in 2007.Since then I worked in different companies till 2016.But after that I quit my job for family reasons. Now I want to work again but the full time jobs in Civil engineering field demand for more dedicated hours of work. Kindly help me find work suitable to my profile but less working hours so that I can manage both work and home. Internshala is an internship platform, it does not provide jobs. However, if you are looking for internships, you can register on Internshala here – http://bit.ly/new-registration. You can filter internships according to your field preference. There are also filters available for part-time and work from home internships. very interesting story i like it and i appreciate you. Great informative article. you have helped with my knowledge of marketing so much but lots more to learn yet. thanks for the information , its really helpful . Bookmarked , hope you can make another share just like this . nice blog i like it and thanks for that wonderful information. Thanks for sharing such insights. Great work.